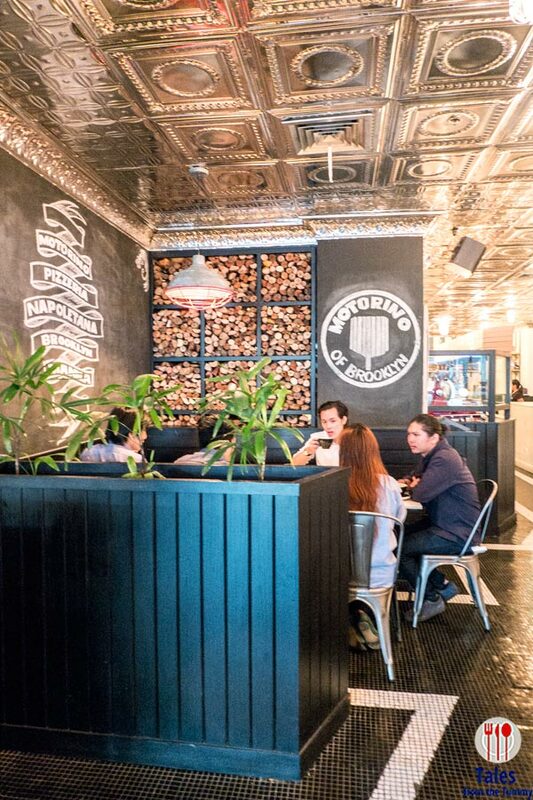 Mototrino Pizza is a Neapolitan style pizza franchise from New York that opened in Manila via Brooklyn. New York then Hong Kong. 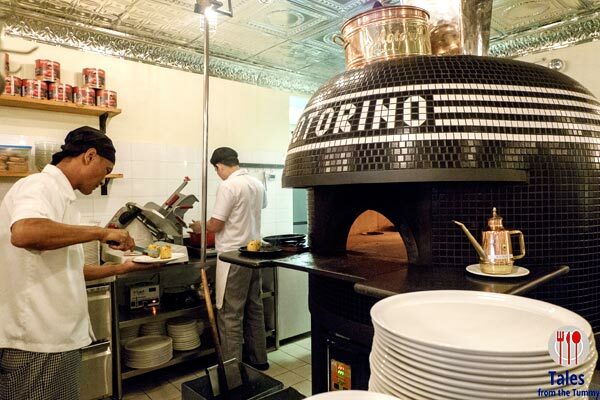 Motorino was hailed as one of the best Neapolitan-style pizzerias in New York and was founded by Chef Matthieu Palombino. 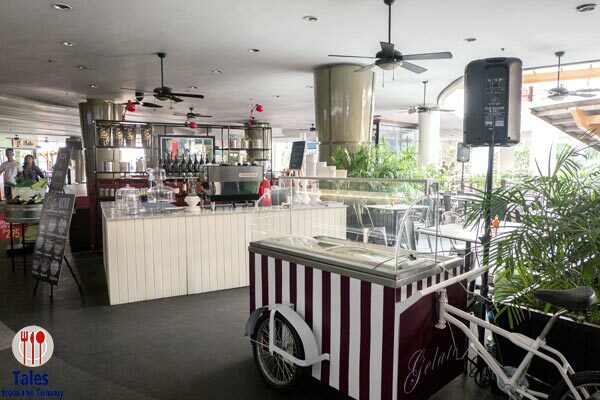 They opened early this year in Greenbelt 3, near the GB3 cinema ticket counters and beside TGIFridays. 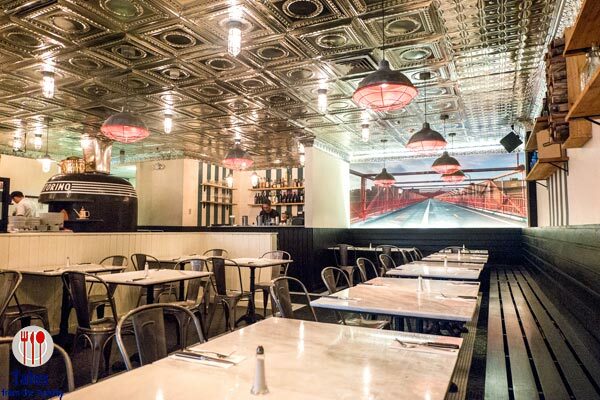 The interiors are pretty with tin ceiling and tiled flooring. The walls and furniture are predominantly white with black accents and a mural of the Williamsburg bridge. Lighting is muted and casts a warm glow. There’s an al fresco area for those who want to smoke or enjoy the cool air at night. The undisputed highlight of the space is the huge black and white tiled wood fired oven. 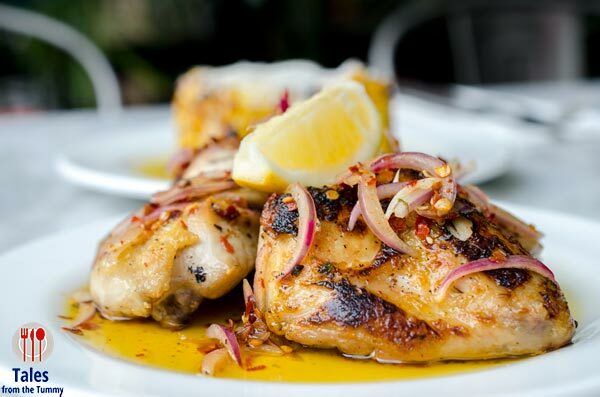 The menu at Motorino Pizza is limited, a number of pizzas, appetizer and then wine and drinks. A trio of appetizers started our afternoon meal, this was around 3 in the afternoon. The first was a Roasted Corn (P95). 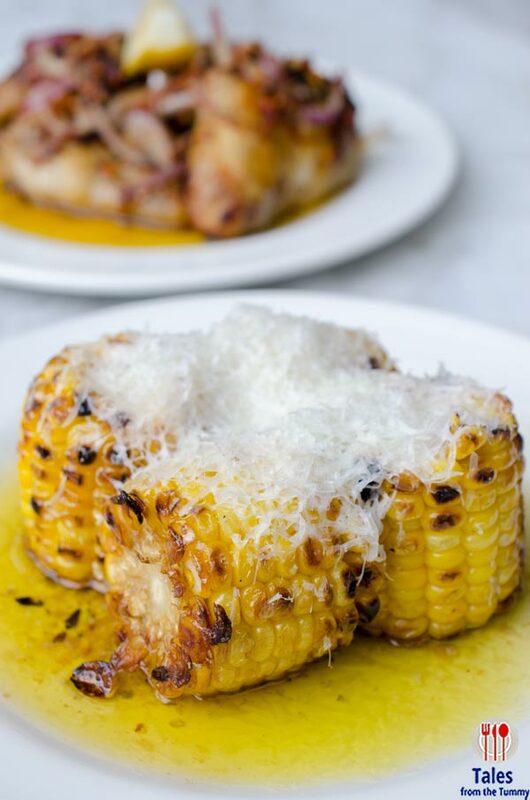 Four pieces of corn with nice charring and sitting in oreganata butter and finished with a shaving of Pecorino Romana. Smoky and sweet with a nice sharp flavor from the cheese. I actually checked the prices again to see that it was really under P100. 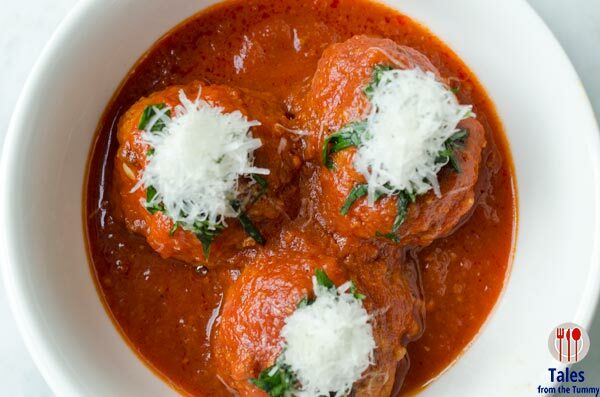 Motorino Meatballs (P380). Three pieces of fairly big meatballs cooked in tomato sauce. They were meaty but a little dry for me. Time to sample what Motorino is famous for, PIZZA! Margherita (P495). 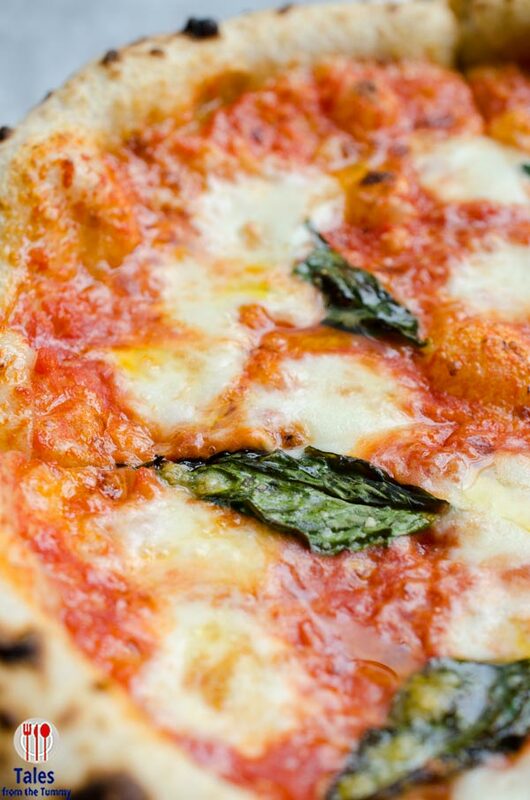 We started with a simple pizza with just tomato sauce, basil, and mozzarella and a drizzle of olive oil. There’s sufficient charring on the crust, with a wet center and bubbles of cheese all throughout. A satisfying and delicious pie with a enticing chewy flavorful dough. Quattro Formaggi (P640). 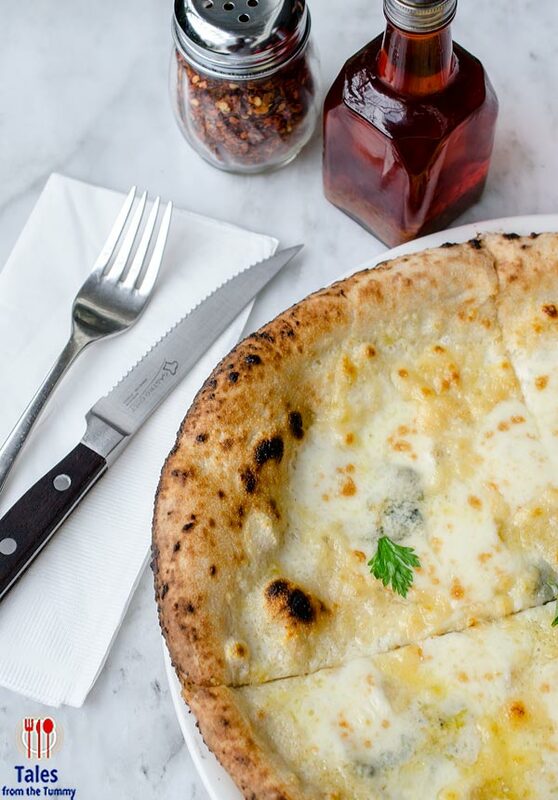 Motorino Pizza’s version of 4 cheese pizza has Pecorino, Gorgonzola, Provolone and Fior de Latte (cow’s milk mozzarella). You can’t go wrong with this one especially if you love cheese with each component bringing a different flavor. Proscuitto di Parma Pizza (P585). My undisputed favorite, look at all the proscuitto laid out on top of the pizza. They only slice the proscuitto upon order to keep it fresh. 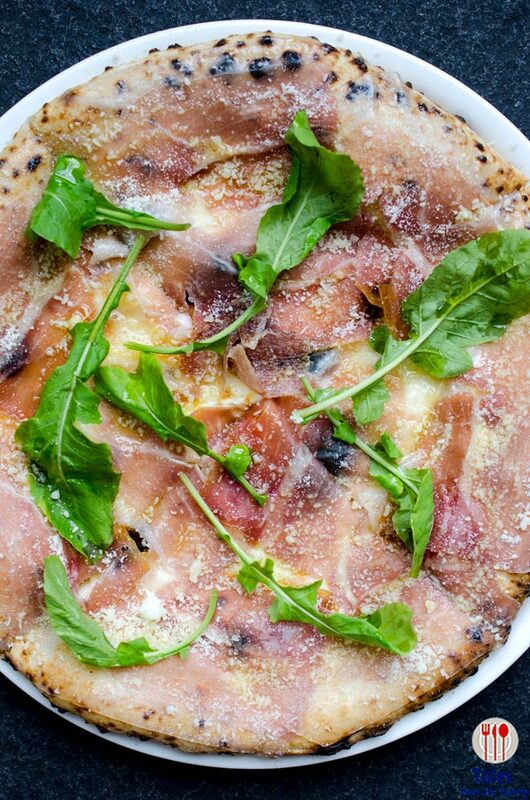 The way they arrange the prosciutto on top of the pie makes it worthwhile to eat everything including the crust. Soppressata Piccate (P585). This has spicy soppressata (Italian dry salami), chilies, mozzarella, garlic oregano, tomato sauce and Pecorino cheese. This is for those who enjoy in your face spicy flavors, my tolerance was not enough as I had just one bite. My dining mates who love spicy food were the ones who enjoyed this one. 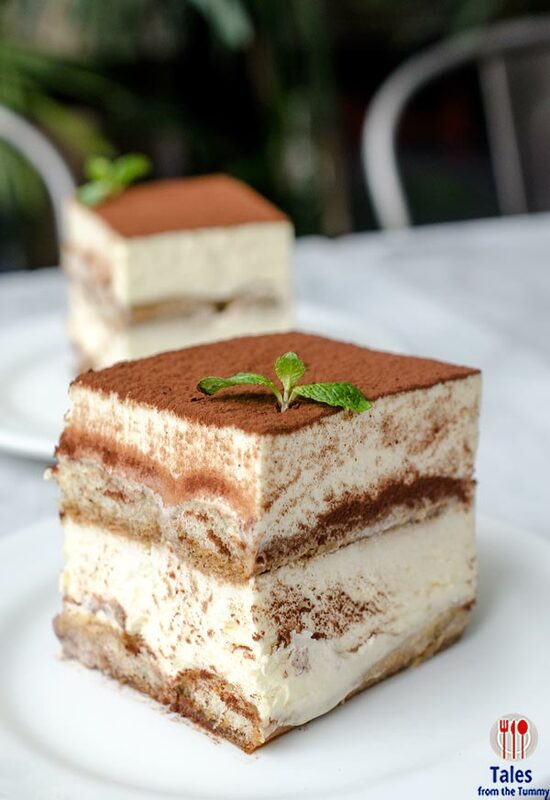 Dessert was Tiramisu (P250) and Torta al Cioccolato (P220). 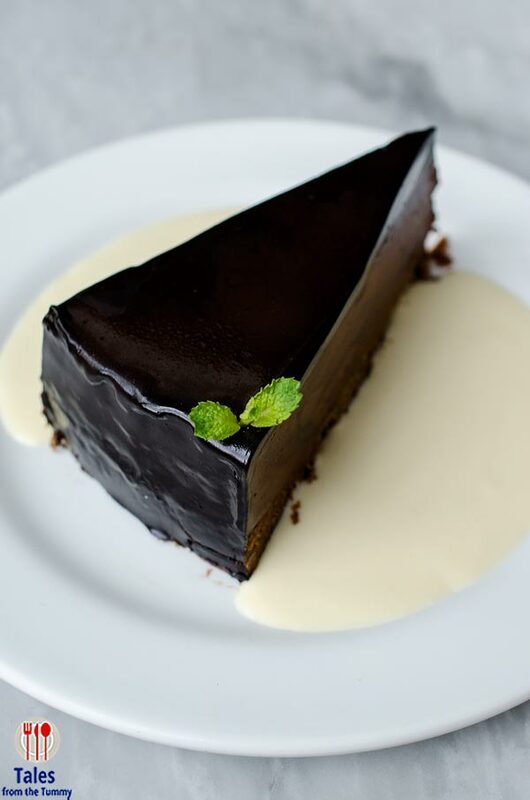 The tiramisu was moist and had just the right amount of sweetness while the torta was a dense chocolate cake that choco lovers will thoroughly enjoy. I had been putting off visiting the store because of early reports of high prices equating to lofty expectations especially with local favorite Gino’s Pizza nearby in Salcedo Village. I was surprised the prices were a little higher than Gino’s but not what I had heard before. A quick query and I found out that they’ve adjusted the prices after normalizing operations and having better economies of scale since almost all their ingredients are imported from Italy. 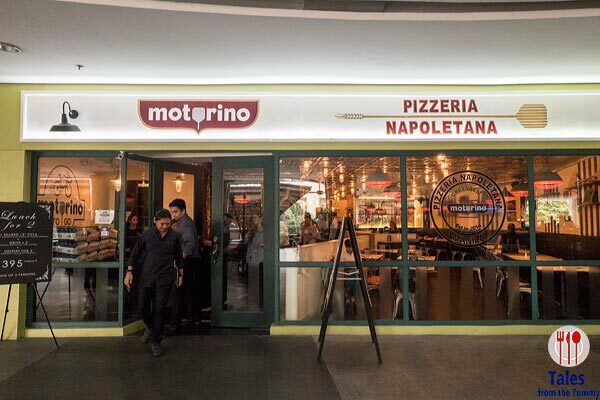 Apprehensive about visiting Motorino Pizza, you can check out their lunch and dinner sets for two. 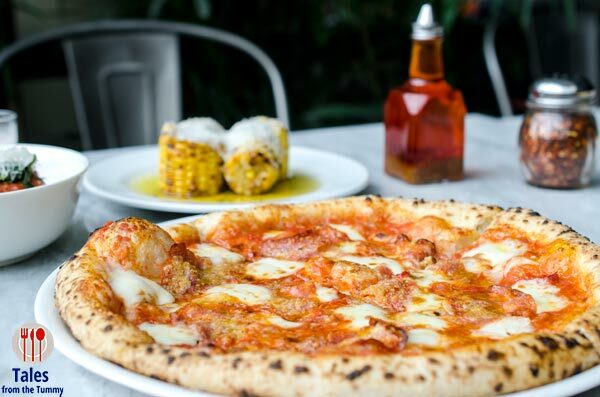 Lunch for 2 (P395/person) includes 1 pizza, 2 drinks and 1 dessert while Dinner for 2 (P595/person) includes 1 appetizer, 1 pizza and 1 bottle of wine.